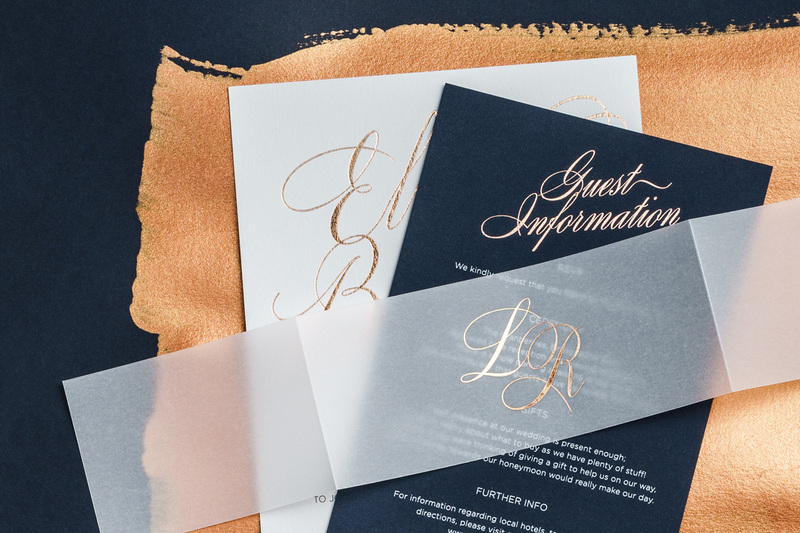 Deciding on a perfect palette for your wedding day may sound simple at first, but there’s often more to it than throwing together a few of your favourite hues. Colours are emotional, and the combination you choose can both show off your personal style and set the tone for the day. These shades will feature in your stationery, accessories and photographs, creating a signature look that makes the day memorable and unique. 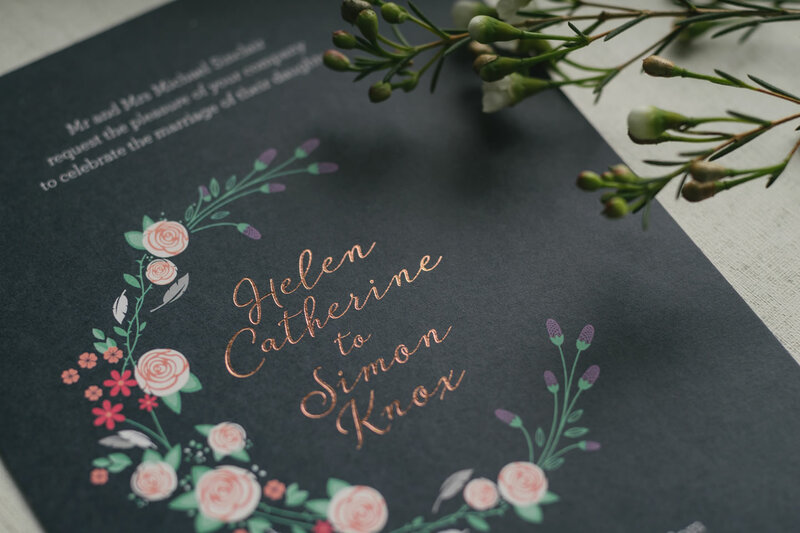 If you’re feeling a little stuck as to where to start, these are some ideas to help you pick your ideal wedding colour scheme. 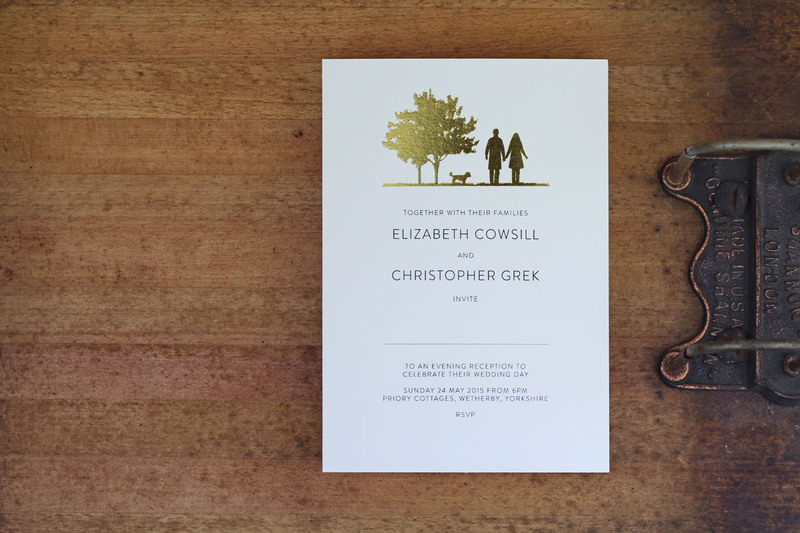 The season in which your wedding date falls can be a great starting point for deciding a colour scheme. Think about the shades and tones you associate with that time of year and go from there. 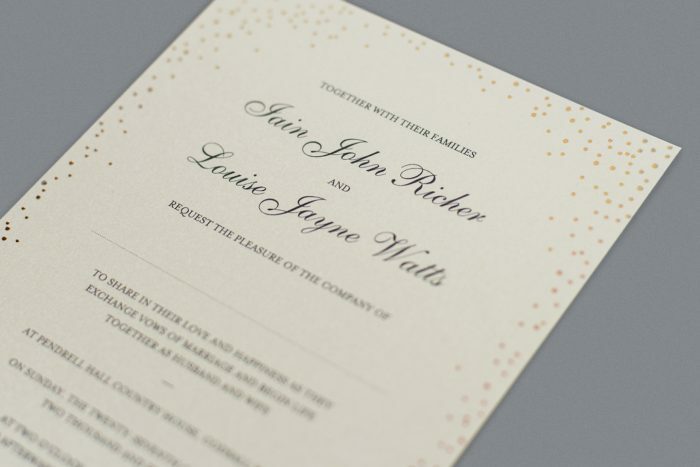 For example, spring weddings are great for pastels and bold colours, whereas autumn is ripe for coppers, deep reds and oranges. Meanwhile, summer months are bright, with yellows and pinks being popular, and sophisticated silver and white looks icy cool in winter months. If you’ve found your venue, there may be specific colours that will complement it. Perhaps your country manor house has a stunning carpet that makes red accessories an obvious choice. Or you’ve chosen a historic castle setting that will look great with regal gold. Marquees, on the other hand, offer a blank canvas which gives you with more scope to play with. 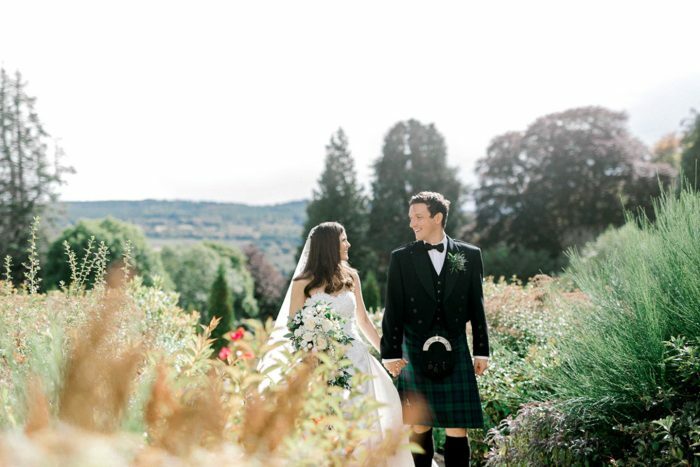 One fabulous example of using a venue to inspire a colour scheme is Carolyn and Andrew’s understated Edinburgh wedding. 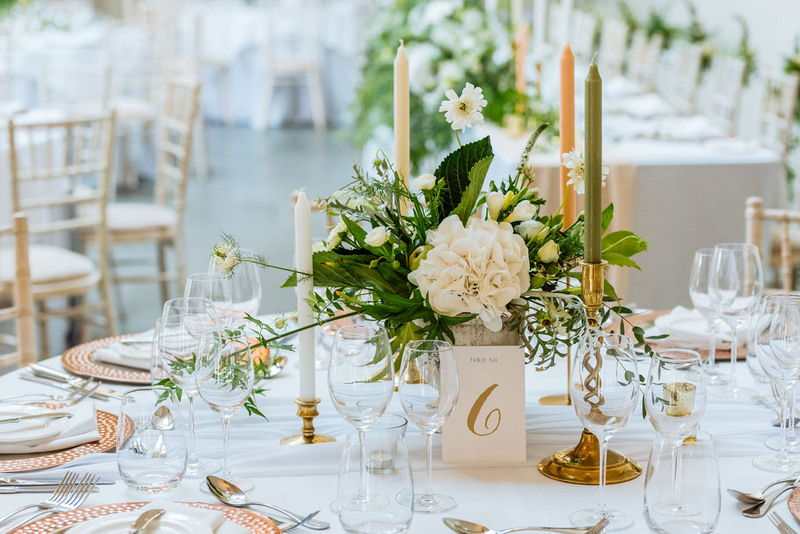 They chose ivory, cream and natural greens with a hint of glamourous gold so as not to detract from the beautiful building that houses the Waldorf Astoria. As soon as you start wedding planning, look around everywhere for ideas. Pinterest is a popular first stop and can be a powerful tool for picking out colours that go well together. 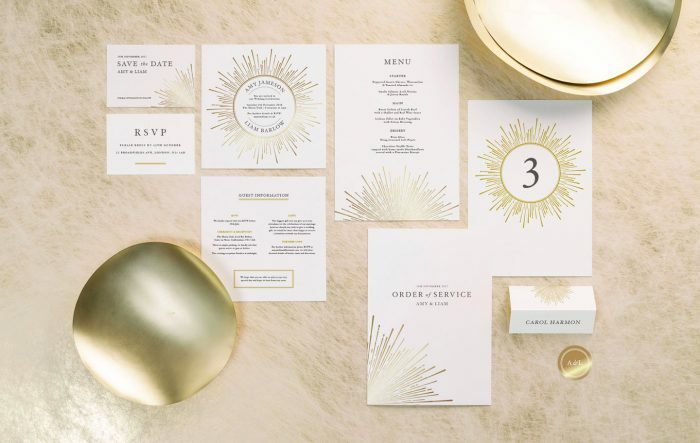 That’s why our colour-focused pin collections like Gold and White Wedding Inspiration are always our most visited boards. Although it’s tempting to spend hours online searching for the perfect colour combos, sometimes the best concepts are found offline. Art galleries, restaurants, country walks, travel photographs and glossy magazines all have potential to hold the perfect tones for you. When lost for inspiration, there’s nothing like chatting with friends to help get your mind buzzing. At the start of planning her winter wedding in Scotland, Linzi says she and her bridesmaids went shopping together. 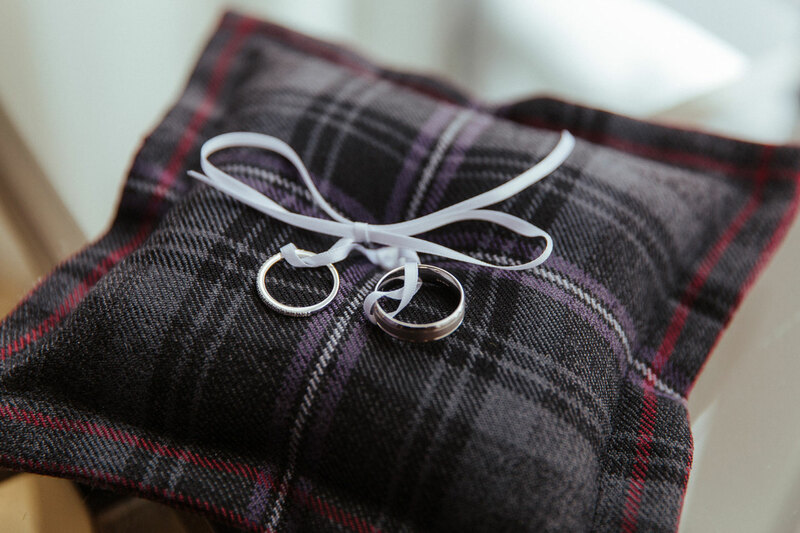 They found their ideal dresses in Lavender, which set the basis for their wedding colour scheme and led them to find a contemporary grey and purple tartan called Scottish Spirit. 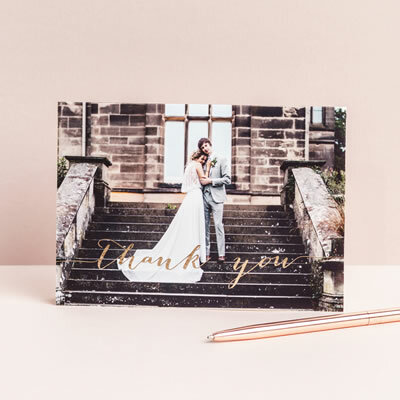 From there, they used shades of grey and purple in their outfits and florals, which were complemented by silver foil stationery and accessories. Sometimes a theme comes before a colour scheme. 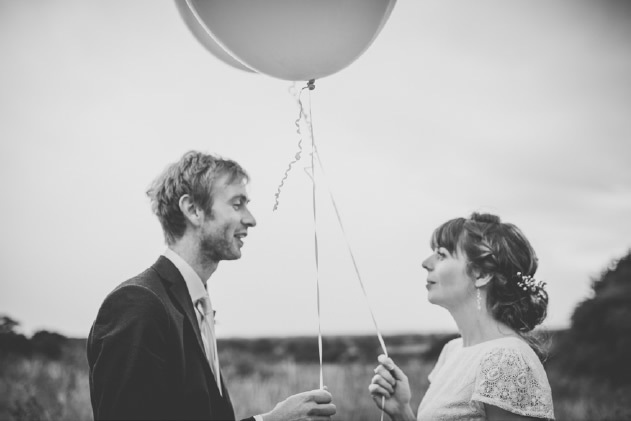 Perhaps you’ve fallen in love with a vintage style, for example, and want to use this as the basis of your wedding plans. When you’re looking at vintage-themed pictures, what colours stand out to you the most? Is it dusty pastels or the brighter shades that appeal? The ones you are drawn to are likely to be a good starting point for your own colour scheme. Your wedding colour scheme can help set the atmosphere for your wedding party. This means you could choose the hues based on whether you’d like guests to feel laid-back and relaxed or passionate and sophisticated. For instance, dramatic shades of navy or black mixed with gold will have a different effect on the mood than blush pinks and rose gold. The impact will depend on how you match your colours together and where you decide to use them. When researching your wedding colour scheme, remember to include interior design trends in your search. 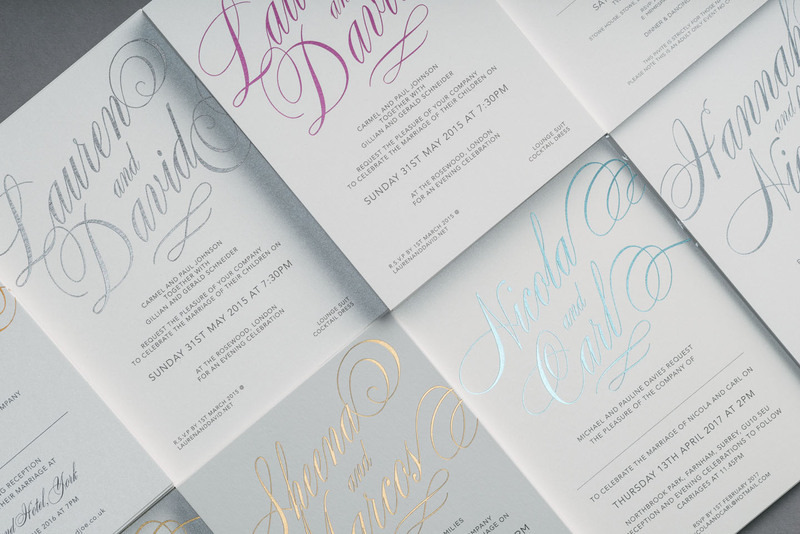 Designers are experts at colour coordination, and looking through their latest works can offer a wealth of ideas. Not least, they showcase how to use variations of your colour palette to a stunning effect, mixing different shades and tones. 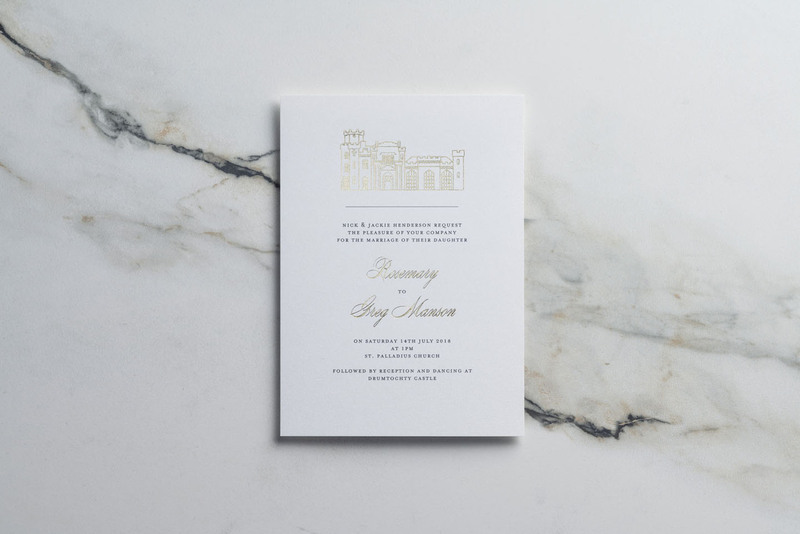 New interior design styles often appear in the wedding arena too, as we’re seeing with the 2019 trend for Terrazzo. If all else fails, look closer to home. Open your wardrobe and seek out what colours you buy most. Then, look at the rest of your home. Perhaps you are drawn to deep blue accessories, neutral-tone flowers or golden trinkets on your mantelpiece. Whatever you discover from your day to day life, these are likely to be colours that will authentically represent you as a couple. Use them as a starting point and go from there. 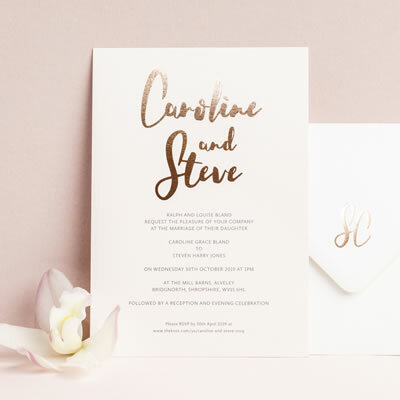 Your wedding stationery is an excellent way of incorporating your colour scheme throughout the day. 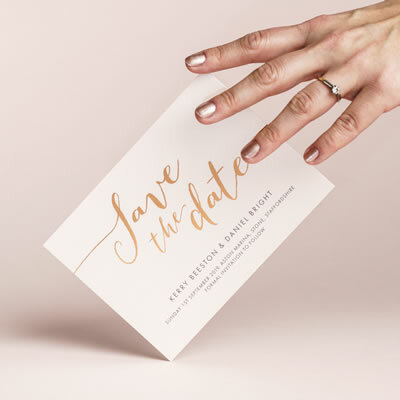 Introduce your chosen palette through save the dates and invitations, then use on the day stationery to continue the theme. 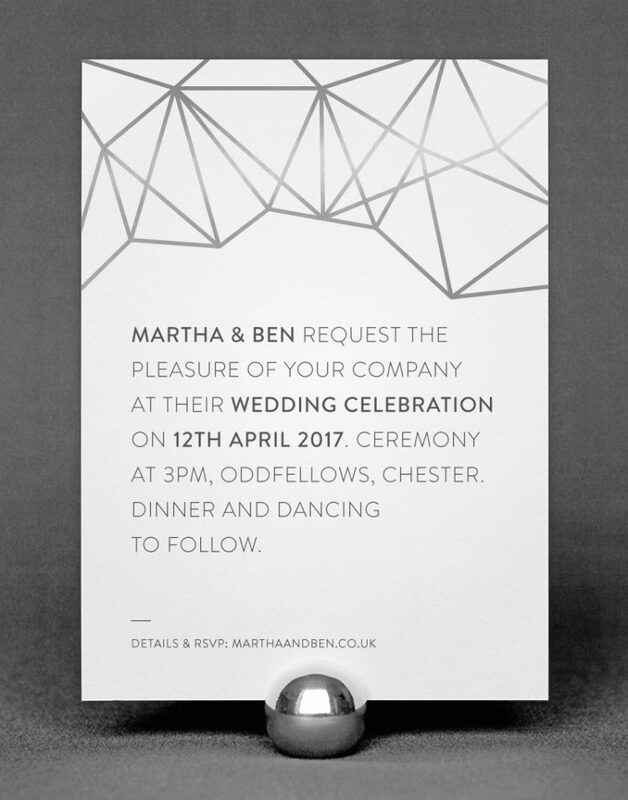 If you’d like to discuss your options, we offer complimentary consultations at our studio in Chester. 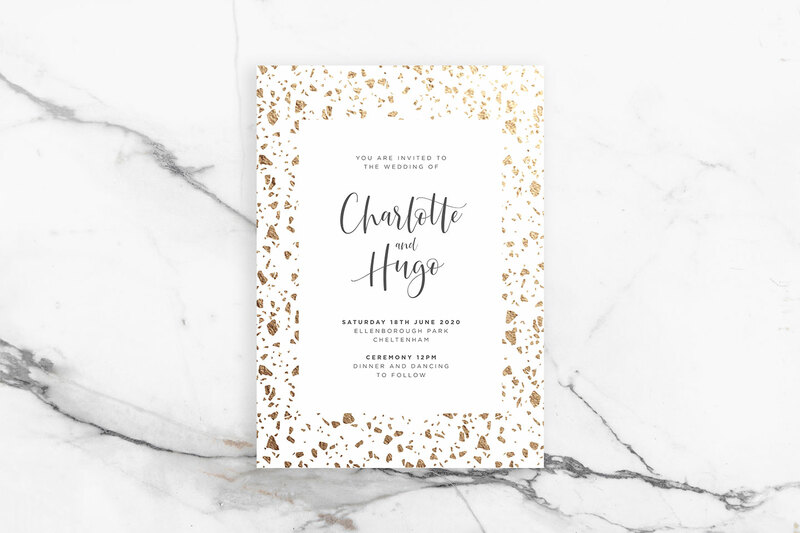 At the appointment, we’ll show you the many varieties of card and foil colours there are, as well as our extensive collection of wedding stationery samples.